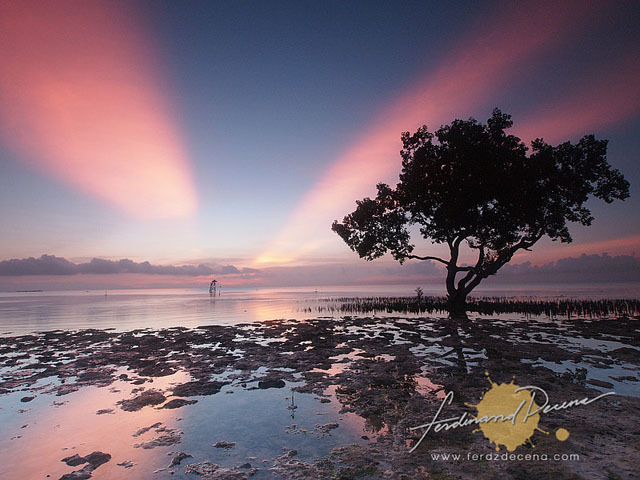 Caught this beautiful ray of light during sunrise at Canigaran Beach, Puerto Princesa, Palawan. Print available here. 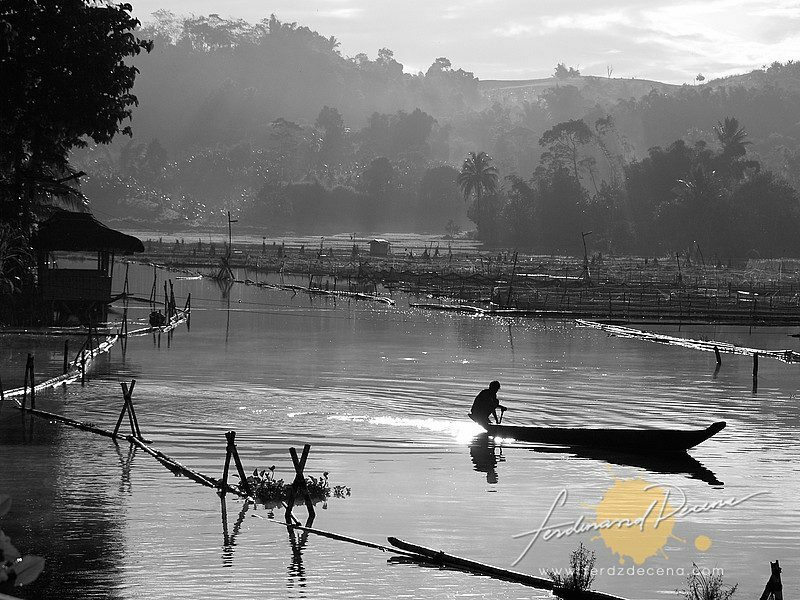 Also known as the Sunrise Lake, Lake Seloton, one of the three lakes in Lake Sebu is picturesque in the early morning. Fishermen rise up and glides gently on the lake’s placid water as they attend to their fish cages and nets. In the backdrop is the dramatic mist rising up from the land. Print available here. 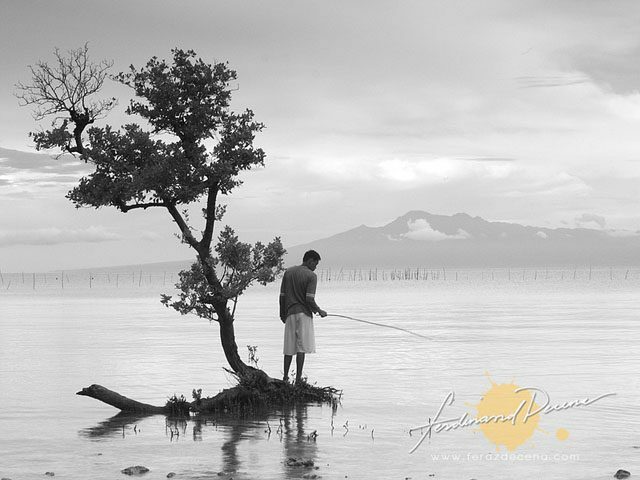 Capturing the patience of a fisherman standing on a mangrove amidst the shallow shores of Sandugan Beach in Siquijor. The mountains of Bohol were visible on the horizon under gloomy skies. Buy Print Here. With over 2200 temples spread out on a dusty 26-square mile plane, Bagan is a stunning landscape of temples dating as early 11th-13th century. As dawn breaks, light paints a dramatic play of shadows and gradients on the vast land of temples and trees. For a moment, the horizon is like a sea with a sharp waves from the temples coalescing harmoniously. 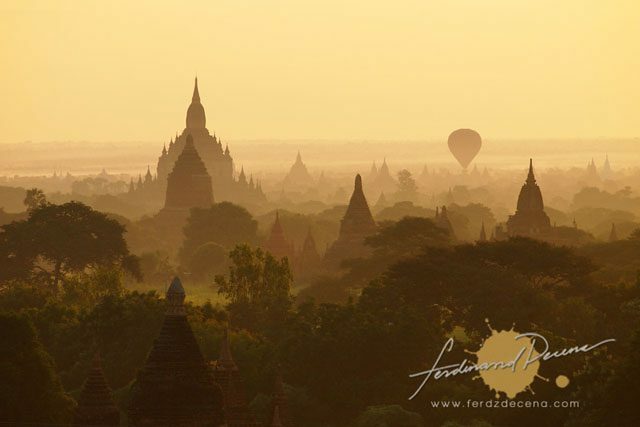 Shot in Old Bagan, The Sea of Temples is available for print here. Property and Copyright by Ferdz Decena. Starting this week I’ll be featuring photos available for print every Wednesday. 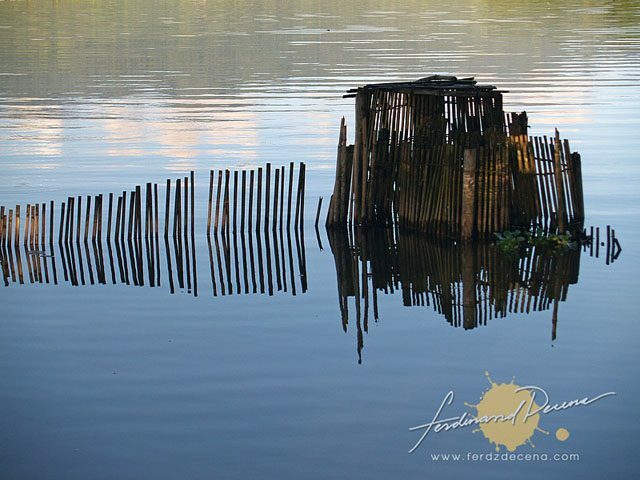 For this week it is “Reflections of a Bamboo Fence“. High Quality Print is available Here. Prints are done by the professional Bay Photo Lab and can be shipped anywhere in the world. After 11-days, 5 overnight bus rides, 1 train ride, 1 pick-up truck, 2 horse carts, countless motorbike rides and thousands of words scribbled in my notebook, I finished my journey around Myanmar. I can say it was one of my fulfilling travels in a while in line with my travels in Laos and China. It was one of those journeys where Traveling and Photography is all about being in the moment, being part of the scene, melding, and being invisible. I love the interaction I get with the locals and just being in there. It’s the travel and the photography where the only person I’m shooting for is myself. I can’t wait to write it for the next few months. 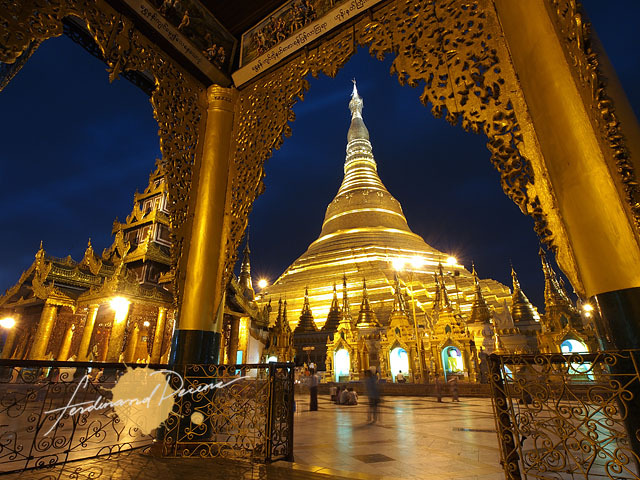 Here’s is Shwedagon Pagoda, a gold studded landmark which symbolizes the country. It was the major sight I visited the first time I got in the country and also the last before I left. Myanmar is a wonderful country that I won’t hesitate to go back again.